Are you ready to see one of the legends of modern alternative rock?? 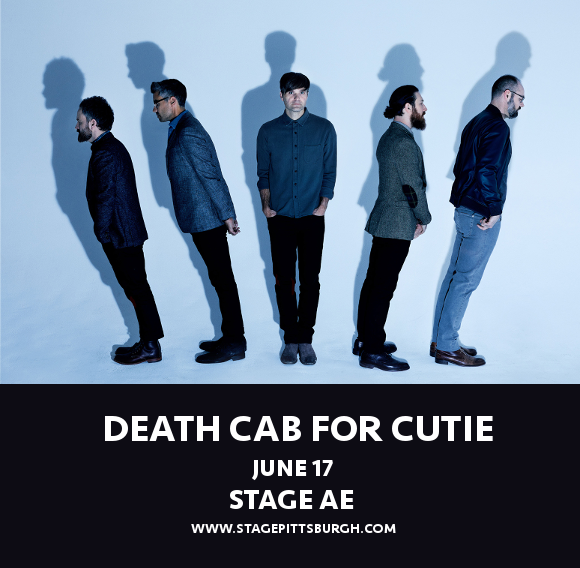 Friday 7th June 2019 marks the day that Death Cab For Cutie return to the Stage AE in Pittsburgh, Pennsylvania. Having been active since 1997, when the musical landscape was changing plenty as is, they remain one of the most enduring contemporary rock acts of our time. Don’t miss out on your chance to catch them live – book your tickets now!! The new freedom of Death Cab For Cutie really shows in their latest LP – you can hear immediately upon listening that it’s come from a less angst-ridden, happier place overall. Now, get ready to experience the new Death Cab For Cutie live for yourself – book your tickets today! !